Updated Thursday October 11, 2018 by Admin. 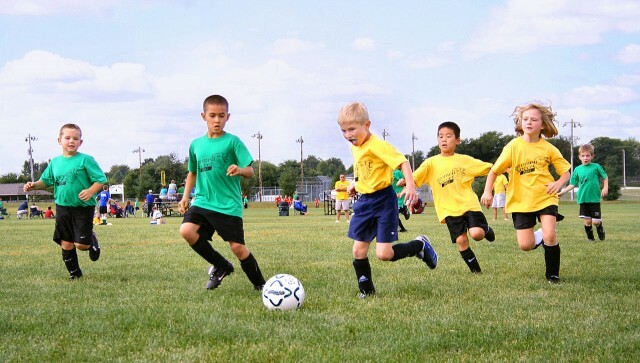 FC Cary has been providing a youth recreational soccer league since 2000. Our focus is on the development of youth players through participation and competition. We provide spring and fall leagues for ages 4 to 17. Age groups are single age groups from ages U05 through U12, combined age groups are U13-U14 and U15-U17 (High School). All recreational teams are co-ed. U05: Teams play small sided games (5v5) with no goalies. Teams have a skills session run by their coach and a game against another U05 team each Saturday of the season. U06-U07: Teams play small sided games (5v5) with no goalies. Each team has a practice session during the week and a game against another team in their age group on Saturdays. U08-U12: Varying field sizes and game lengths depending on the age group. Each team will have one practice during the week and a game against another team in their age group on Saturdays. Each game is officiated by two league referees. U13-U17: Teams play 11v11 games on full size soccer field. Each team will have one practice during the week and a game against another team in their age group on Saturdays. Each game is officiated by at least two league referees. Spring season begins in March and ends in May. Fall season begins in August and ends in October. Teams practice and play in the Cary/Apex area. Our primary location is Green Hope Elementary School which is located in Cary. Additional fields are used in the Cary area as needed.